Although to get into a vertical of a major search engine such as Google is not difficult and doesn’t require a big effort, to get your bookie website to rank high in order to have the opportunity of promoting your price per head services is a completely different story. To have the chance of helping your bookie website to rank in a vertical, you have to put some good work as it is similar to ranking in a regular search engine. When it comes to optimizing pictures, news, RSS feeds and blogs, you need to tailor your actual listing in order to make certain attributes more specific. Although images can be classified by topic, the text that surrounds them has to be fully accurate in order to tell the spiders what a certain image is all about. The bots will look at the name of the file, so, instead of naming a given image with a number such as 00001.jpg, you can call it betting.jpg for example. It is also recommended to use Alt attribute text for every single pic on your bookie website as it is very descriptive helpful for people that are making use of screen readers or in the case of an image that cannot be displayed for some reason. Depending on the browser utilized, such text becomes visible to the user when he or she mouseover an image. The bots are also able to read (and therefore index) Alt Attribute text, so it is really worth the effort to add a valuable, meaningful description of your images. Note: try to be as descriptive as possible with your Alt Attributes but keep them short and don’t stuff them with keywords because your site can get penalized for doing so. To get articles from your bookie site on news verticals can be tricky because a giant such as Google takes in consideration two key factors: that the site that is providing the news posts is updated on a regular basis and that the articles are coming from different authors. For this reason, it is good that you upload your news pieces using different aliases in order to tell the bots that you are doing things properly. A great way to make your news visible for news searches is to utilize press releases. For example, let’s say that you are having a promotion related to the prices that you are currently offering on $5.00, 2-team parlays (something like pay one and play two). You can use services such as MarketWired and PRNewswire to submit your PR, and once that has been done, your press release becomes available for the different news agencies. 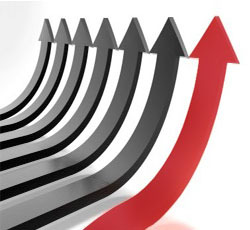 If done correctly, this can have a great positive impact on your bookie site’s traffic. Web logs or blogs, as they are commonly known, are more popular than ever and for that reason they now count with their own verticals. This is also true for the widely used RSS feeds. The trick for a web log to rank well on a vertical search engine is to count with its own RSS feed. If you are making use of a content management system such as Blogger or WordPress, you basically don’t have to do anything at all as these CMS sites will automatically create an RSS feed for your bookie website. Besides having an RSS feed, it is also important that you have great content and do frequent updates as this is key when it comes to let the bots know that you site is quite relevant. This entry was posted in Articles on September 20, 2013 by Mark. Modern streaming technology and advanced web speeds has turned video into a popular tool that can allow you to increase the PageRank of bookie website and offer your pay per head services at great prices to the online gambling community. Here are a few tips that can help. In order to get higher rankings for your bookie website, you can start by adding keywords in the metadata of any video that you create. Such keyword terms can be added in the HTML area of your video file. For this strategy to work in your favor, you need to make sure that such text is very descriptive, meaning that it really has to tell the Google spiders what your video is all about. It is also recommended that you keep your keyword terms for the filename as specific as possible as this will make it more relevant for search engines, which can also favor the rankings of your bookie website. Although there are other top video sites out there such as Vimeo and DailyMotion, if you really want your videos to help you get a better PageRank for your bookie website, you need to focus your work on YouTube, as this is a site that is owned by Google. This means that any video that you upload to YouTube is certainly going to be indexed in a faster way by the bots. Of course that it will really not hurt you to also upload your vids to the other aforementioned video-hosting sites as this can give you an extra edge over webmasters whom are just uploading their material to YouTube. When you add a link from your vids to your bookie website, you can potentially help your site to get more traffic and also better rankings. This of course is directly related to how popular your videos become and although there is really not a true strategy to make your vids as popular as you might like (because this is circumstantial to what people is digging at the moment), you can try to create videos that are of interest to your intended audience in order to get high-quality traffic. For this reason, we recommend you to create vids related to gambling and to also offer your own betting advice on either daily or weekly videos. A while back YouTube added another great functionality to their videos: they now allow you to add clickable annotations. These are the text boxes that you see popping up at different segments of time during a video. This is great because it allows you to add links to your bookie website. You can play with annotations and add links whenever you think is convenient. For example, if you are creating a video that talks about different wagering types and you have a section on your site related to straight bets, you can add an annotation during the segment of the vid that refers to that specific betting type. This will make it possible for a viewer to click on that annotation and visit such section of your site. 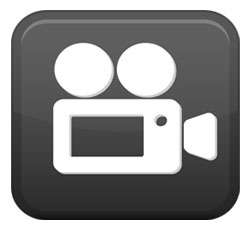 Besides your actual videos, you can also add a link to your bookie website on your own YouTube channel, and doing this is highly recommended because when someone likes one of your vids, they are likely to either visit your channel, or subscribe to it (even better) and more importantly, they can visit your site by clicking on the URL that you added. Tip: In order to make your YouTube channel as appealing as possible to new visitors, add a nice header, real information about the videos that you are offering and also a good description of your site. This entry was posted in Articles on September 19, 2013 by Mark. If you want to start offering your bookie pay per head services using professional bookie software to online players, you need to make sure that you count with a website that is well optimized for organic results. Although there are a few significant search engines out there, you really need to focus your SEO efforts on Google, and here are some of the reasons why. Although most search engines work with similar algorithms for their organic SERPs, the truth is that Google is the one that puts the most significance on the popularity of a bookie website based on links (incoming and outgoing) and this factor certainly makes it the most relevant player in the game. Google is probably the most research-friendly search engine out there, and optimizing your bookie website to rank well on the organic SERPs will guarantee that bettors researching for agents will get to your site. Remember: Google will grant your site authority based on your expertise, so if you want to be found by possible clients, make sure that you will apply the right SEO techniques. 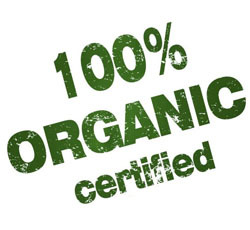 PageRank is part of Google’s organic search algorithm. The better your PR, the better you will rank on the SERPs. If you’re wondering what PR does, it actually designates a numerical weight to a group of hyperlinked docs in order to find out how important they are. If you want to have a good PR that can get you a top spot on the organic SERPs, you need to make sure that you look for link partners which have a high PageRank. It is better to have a few incoming links from sites with a respectable PR thank a ton of links coming from sites with a low PR. Google has indexed more than a trillion pages so far, and that means that getting to the top positions of organic search results might not be an easy task. But considering that Google’s enormous index is one of the reasons why people trust it so much (quantity and quality makes it more credible than others), it makes a lot of sense to focus your optimization work on this search engine. A while back, people used to “search” for something on the internet; these days they Google it. The name of this giant search engine is so relevant these days that the word Google is even listed in the dictionary. This means that ranking well on Google’s organic results will certainly open more possibilities of new business deals for you. Sure, you might be doing fine on the SERPs for less popular engines, but in reality you should only be concern on ranking at the top spots for Google’s organic searches because this is the one which dominates the search market. Google gets more traffic than all of the other engines combined, netting more than 60% of the total of visits while Yahoo (the second in importance) gets less than 20% and Bing just a little more than 10%. Paid results are good, but organic results are certainly more credible to the eyes of the average internet visitor because paid results are often for pages that want to sell something, and you really want to prevent your bookie website from being perceived as a sales tool. So, if you really want to make the difference when it comes to promote your bookie website, make sure that you’ll create an SEO strategy that will get you positive results when it comes to getting Google to include your site at the top positions of its organic search results. This entry was posted in Articles on September 13, 2013 by Mark. In order to keep its SERP (search engine results page) results relevant, Google really needs to understand the main subject of your bookie website, so if you really want to help the spiders to find your site, there are a few factors that you need to take in consideration. Once you get familiar with these concepts, you will be able to offer your pay per head services at great prices to broader online audiences in no time at all. Although you can pay to get an ad for your bookie website listed either at the top or the side of search results based on a specific keyword term, the truth is that people tend to rely more on organic results, which the Google bots find on his own. You really cannot buy your way to the top of organic SERP results as this can only be achieved by applying the right search engine optimization techniques, so your aim as a webmaster is to try to make your site as SEO-friendly as possible. Loading Time: If your bookie website is located on a slow server, it will make it more difficult for the Google spider to go through your content, so optimization professionals recommend that you work with a fast server in order to allow the bots to index your pages more frequently. Bounce Rate: This variable measures how long a person remains on your bookie website. The longer someone stays the better for you. On the contrary, when people visit your site and immediately hit the back button to return to the SERP’s, this can be unfavorable for you. The content is doubtless the backbone of your bookie website. It is actually all the data your site contains: not just the written stuff, but also multimedia (videos and pictures) and other interactive technologies. In sum, you site’s content is all that is visible to the user. The relevance of your bookie website is directly related to how Google perceives your expertise based on the way in which you use keywords. In order to get a positive PageRank, it is also quite important that you have as much content as possible. For example, a bookie website with fifteen pages of content is likely to rank worse than one with one thousand pages. Remember your high school days when your popularity was based on how many people knew you existed and continued to chat about you? Well the internet is not that different as the Google spiders are constantly checking for how many sites are linking to your bookie website combined with the number of outgoing links you have on your web portal. Google certainly pays a lot of attention to how popular your site is, so if you want to rank well, we truly recommend you to spend a considerable amount of time trying to make your site as famous as possible. If you enter a supermarket and you find all the products stacked randomly, it is going to be difficult for you to find what you really want to buy and chances are that you are going to opt for leaving such store in order to buy your stuff at a place where things are better organized. The Google spiders do exactly the same thing: if the bots find out that your bookie website is poorly arranged, it will favor similar sites which have a better organization system instead of yours. This entry was posted in Articles on September 12, 2013 by Mark. Now that you are aware of how to find the sites that you want to get links from for your bookie website, you are certainly a step closer to offer your price per head services to a larger market, but before that happens you also need to learn how to properly create Google-friendly links. When you are able to develop such kind of links, you will be able to get better PageRank results even when you have less links pointing to your site compared to your direct competitors. A person can look at this URL, know that it is a link and click on it if it’s relevant to the person’s current search. This link design (underlined and presented in color blue) is used consistently across the web. Alternatively, a link can also be presented with alternate link text, for example Bookie Software. The text that goes along with a link is commonly known as anchor text and it is an essential tool of SEO. Embedded with the link text, you will find a uniform resource locator or URL. If you position your mouse over a link with anchor text, it will show you the actually URL. It is highly recommended that you use anchor text instead of plain links whenever possible. 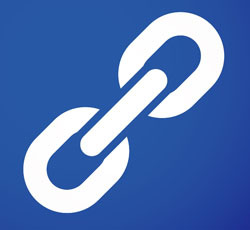 To get external links pointing to your site is not enough as Google takes into consideration the quality of the links and also the text related to the link. A link that simply says abc.com for example, doesn’t really tell online users anything about your bookie website or what is the benefit of clicking on it (only giant brands are exempt). So, even if the link for your bookie website is somewhat descriptive, it is better if you use anchor text that includes relevant keywords in order to make the links pointing to your site more informative. If you fail to use anchor text, you will only be aiming to rank well for your own URL, abc.com for example. What you really want is to rank well for a keyword term, for example “bookie website” and this one of the major reasons why you should not forget to get third-party sites to link to you using the keyword phrase of your choice instead of simply placing your URL on their web portals. When people do a Google search for your aimed keyword term, it will be easier for people to find your bookie website if Google finds many external links pointing to your site with such keyword phrase embedded. If you want to prevent unwanted situations with Google, we recommend you to change your anchor text from time to time. It is also good to use two keyword terms simultaneously separated by a post, for example Bookie Website | Bookie Services, this way you are optimizing for two keywords and not just for a single one. When you are ready to start sending emails to possible link partners, don’t forget to send them your very own link formatting so they’ll place exactly the combination of URL and keyword phrase that you requested. By applying the right link formatting, you are providing Google with friendly links that will be vital for the success of your SEO efforts. This entry was posted in Articles on September 6, 2013 by Mark. If you are going to take the time to start your own bookie website in order to offer your pay per head services at great prices, then you must definitely consider submitting your site to well-known web directories. 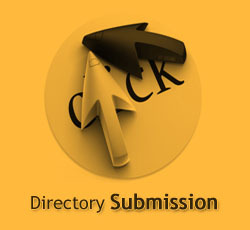 Indeed, directory submissions are a great way to get many extra one-way links to your site. There are some web directories that will charge you to get you listed, and although they will tell you that this is a one-time fee to pay for a professional editorial review for your bookie website, the reality is that you are actually paying for getting a one-way link to your site from one that currently holds a high PageRank. Although paying to get listed on web directories is effective, you really need to know how to use this SEO method or your bookie website might get penalized for using “paid links.” For this reason we recommend you that you limit the number of paid directories that you use in order to avoid conflicts with Google. When it comes to web directories, there are two kinds: A. the ones that are edited by people and B. the ones that are automated. Those that are actually edited by humans are the ones with the best PR because they process each submission request manually, which gives them the chance of discarding worthless links. Of all the manual web directories out there, doubtless the most important one is DMOZ.org (this site is so relevant, that even Google uses it for their own directory). Automated directories are also important, but you should try to make use of only those with a high PR. There are many of these sites that work with a “link exchange” system, where they post a link to your site only if you post one back from your own bookie website, and this is another reason why directories with a high PR are so important. There are other significant options out there such as Aviva or Best of the Web, but they are even more expensive, so we recommend you to try as many free options as possible before you actually spend on paid directories. This entry was posted in Articles on September 5, 2013 by Mark.